We are a Pilates training studio in Portobello, Edinburgh offering individual and small group sessions including strength, conditioning, weight management, suspension (TRX) and pure Pilates. 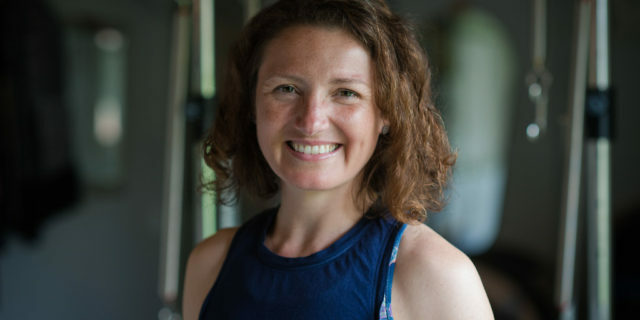 “Before starting the class I had just given birth and was feeling flabby and like I needed motivation to get back into exercise and regain my ‘old self’ again. The classes have been fantastic”. Sabrina graduated with BA (Hons) Physical Education and Sports at the University of Greenwich. She is a fully qualified Personal Trainer with a Level 3 YMCA Qualification in Health & Fitness. After a break, we all need to stretch out and unfurl those rounded shoulders, and Pilates is the best way to do it!